Main population centres: Edgbaston, Quinton, Bartley Green, Harborne. Profile: This is a largely middle-class seat of leafy suburbs in the South-West of Birmingham. It covers four council wards, Bartley Green, Edgbaston, Harbone and Quinton. The first three are safely Tory with Quinton more marginal, as it includes council estates like Woodgate Valley and Welsh House Farm. Parts of Edgbaston itself are also becoming more inner city in character, with more houses of multiple occupany and a higher proportion of ethnic minorites. The seat includes Bartley reservoir, Edgbaston Cricket Ground and the main campus of the University of Birmingham (although not all the students actually live here, they are more likely to be found in Selly Oak). Politics: Traditionally Edgbaston was a Conservative seat and was held by the Conservatives for most of the twentieth century until falling to Labour in the 1997 landslide. 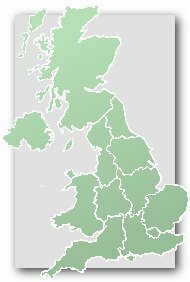 Labour`s majority was reduced to only 6% by 2005 and the seat was a prime target for the Conservatives in 2010, but one they failed to take - it was the most vulnerable Labour-Conservative marginal seat that Labour managed to hold onto. The seat has been represented by a female MP since 1953: Edith Pitt was followed by Dame Jill Knight and now Gisela Stuart. GISELA STUART (Labour) Born 1955, Bavaria. Educated at Staat Realschule and Manchester Polytechnic. Former Lecturer. First elected as MP for Birmingham Edgbaston in 1997. PPS to Paul Boateng 1998-1999, Junior heath minister 1999-2001. Along with David Heathcote-Amony was on the steeting group of the European Convention that drew up the European Constitution, but was strongly critical of the constitution that finally emerged. LUKE EVANS (Conservative) Educated at Birmingham University. Doctor. GISELA STUART (Labour) See above. LEE DARGUE (Liberal Democrat) Educated at Open University. Health and safety advisor. GRAHAM SHORT (UKIP) Born 1946, Birmingham. Micro-artist. PHIL SIMPSON (Green) Contested Birmingham Edgbaston 2010. HENNA RAI (Independent) Educated at Leicester University. Very helpful. Its a shame all councils didn’t count by ward. Also I noticed the majority Asian wards seem strong for remain in Birmingham. In Newham they clearly cant have been because there is no where in Newham that Leave could have broken 60% leave so Green street east and west, East Ham north would have had a 40% + leave vote. Yeah, no way Edgbaston itself voted leave. It is a seat of similar character to the Wirral seats. Maybe all councils did count by ward and it’s just a question of getting hold of the information. There may have been a divide between Pakistanis and Bangladeshis with the former in Birmingham voting Remain and the latter in Newham voting Remain. I have spoken to someone at the Barking count who confirmed Barking and Dagenham was not counted by ward. Maybe through it be hard to think as to why. I would have been interested to know how the Barking constituency voted. Polarisation is very high, and very class-based (among white voters). My own ward (Moseley) was 77% Remain, while Sharde End – a council estate ward in East Birmingham – was 76% Leave. Yardley is the most interesting one on the list. Despite its previous Tory and Lib Dem leanings it really is a very WWC seat. It’s only 60% White but yes it is a mixed seat with working class parts as well as nice suburban semis. And yet Sutton Coldfield voted Leave and Remain barely carried Four Oaks. The class dynamics are not as simple as people are making out. Unless I’ve got my demographics way off, interesting variation between Ladywood and Hall Green on one hand and Hodge Hill and Perry Barr on the other. They’re the 4 most diverse constituencies in Birmingham. Yet the first two went Remain quite convincingly while the last two were narrowly Leave. In Hodge Hill constituency, Shard End was over 75% Leave, one of the highest % in Birmingham. In the 2 “Muslim” wards, Bordesley Green and Washwood Heath, Remain was at 62%. In Perry Barr, Oscott had Leave at 70%. Leave also won Perry with 54%. Ladywood was more uniform. Leave % ranged from 29% to 43%. Same in Hall Green with Leave between 22 and 44%. In the pre-Coalition era the 2 “not Muslim” wards in Hall Green used to have the LibDem in contention. The Boundary Commission has apparently seen fit to add Sparkbrook to this constituency, which would render any Tory ambitions here moot regardless of which direction the party takes. Labour MP and chair of the Vote Leave campaign Gisela Stuart is also in favour of a unilateral declaration to guarantee EU nationals’ rights. Exactly right – I had been thinking the same thing earlier today – why doesn’t the government set the tone in the negotiations with the EU by doing this? It would either buy goodwill or wrongfoot Brussels et al, either of which would be a good thing. It would demonstrate a generous spirit, and one which is not likely to cost us financially – in fact, I suggest this smart move would gain us greatly although that may prove hard to quantify / prove later. Probably Walsall South too. He will also need to get very good performances in Birmingham Selly Oak and Birmingham Yardley in order to win (he’ll get obliterated in the 4 BME heavy Birmingham constituencies). From what I’ve read, he seems to be running as a semi-independent. Ideally he wants to be seen as a man who can use his business credentials to do deals and bring jobs to the area. At the same time he’ll try to downplay his party affiliation and reach out to people who wouldn’t normally vote for a right-wing party with a promise of growth and investment. Apparently Gisella Stuart has “declined” to say if she will stand again. Her survival since 2001 must have been partly due to the support of “small l” liberal voters in this seat. Post referendum, they will be much less inclined to vote for the poster girl passenger of the bus with the lie painted on its side. Labour need those votes to hold this seat. Gisella has moved from their viewpoint from electoral asset to electoral liability. Still don’t think this is a dead cert for the Tories, but without Gisela they are probably the favourites. The BAME voters are the big hurdle to clear from a Blue perspective. Gisella Stuart’s constituency was 53% Remain. I would imagine that Edgbaston would have been strongly Remain with Leave being stonger in Quinton, Bartley Green and Harborne. I think there will be a swing to the Conservatives here but it may not be the 3.3% required for the Conservatives to gain the seat. Any idea who Labour are interviewing for Edgnaston. Neena Gill’s name has been mentioned. Any others. Heard Neena Gill being interviewed today for Birmingham Edgbaston. If Labour selected her they would be handing this seat to the Conservatives on a plate. Preet Kaur Gill represents St Pauls ward in Sandwell. It may only be 3-4 miles from Edgbaston but in social and economic terms is a world apart. If elected she would be the first female Sikh parliamentarian. Any idea who the Conservatives are selecting? I hope it is a woman candidate, to guarantee that this constituency continues to hold the record for the longest continuous female representation in parliament : currently 64 years since Edith Pitt won a by-election in 1953. She, Jill Knight and Gisella Stuart have been the only3 MPs since then. The Tory shortlist has three names: Luke Evans (2015 candidate), Reena Ranger and Caroline Squire (a descendant of Joseph Chamberlain). Tradition demands they go for Ms Squire. After all this seat was the bailiwick of both “Radical Joe” himself and Neville. R.e. the discussion last week about the likelihood of this seat flipping: people can’t have it both ways. If you make the assumption that Stuart was extremely popular here, then you are making the assumption that the seat was otherwise swinging Tory in far less favourable conditions for that party. This in my opinion goes blue with ease. I think this seat is going blue, but perhaps not “with ease”. I could see Labour winning Edgbaston Ward and the Conservatives winning the constituency with votes in more blue collar areas. A complete inverse of how the constituency will have voted some years ago. Caroline Squires wins Conservative nomination. She’s a great great granddaughter of Joseph Chamberlain and is a public affairs and communications consultant, having previously worked for the Conservatives in the House of Lords. The key to this seat is wwc Bartley Green. It’s usually strongly Tory at a local level but my understanding is that it is highly marginal in general elections. If the Tories can achieve a council election-style result there they will probably win. However, I am rather less confident about this seat than I am about Birmingham Northfield. I think the Conservatives are confident of very good results in Birmingham, off the back of the expected victory in the WM mayoral election on Thurs. I assume there will be a ward-by-ward breakdown of that, which might give some clues as to what is likely at the GE. You are absolutely right about Bartley Green. For yonks John Lines has been a Conservative councillor there and has consistently overperformed in local elections : and now his popularity seems to have partly transferred to his running mates. The result is that a ward which should be – and probably is in General Elections – finely balanced now appears as the most Conservative in the seat. If you had suggested this in 1997 when the ward was added to the constituency. I doubt anyone would have believed you. In truth, it is a bit of an anomaly in the seat, with indifferent communication links to the other 3 wards, and much more linked, geographically and in character, to the wards in Northfield, where of course it was prior to 1997. Squire is already on the streets – with Sajid Javid. One ought to wait for the WM Mayoral but it looks like an unstoppable Conservative win here. I think Street may win the WM mayoral with over 50% in round one. Tories have been working that election very hard and evidently have the better candidate, plus the national picture. How the result breaks down will be very interesting with several seats in play at the GE covered. Yes..a big clue. Street should win easily it seems. Any thoughts on turnout anyone?? I feel it could be around last time 65 or 66%. It is a polarising contest – which improves turnout – but there’ll be abstentions presumably by Lab and to a lesser extent UKIP GE2015 voters. Out of interest are there constituency breakdowns for the second round of voting? The green party is standing a candidate here, which is bad for Labour. Still the consistuency is demographically moving away from the Tories, so there is a chance the Tories could win but only on a small majority. Yes which is why despite the flak YouGov have had I think they’re on the money when it comes to Labour’s performance in Reading and Plymouth and the Tories performance in the M62 corridor.